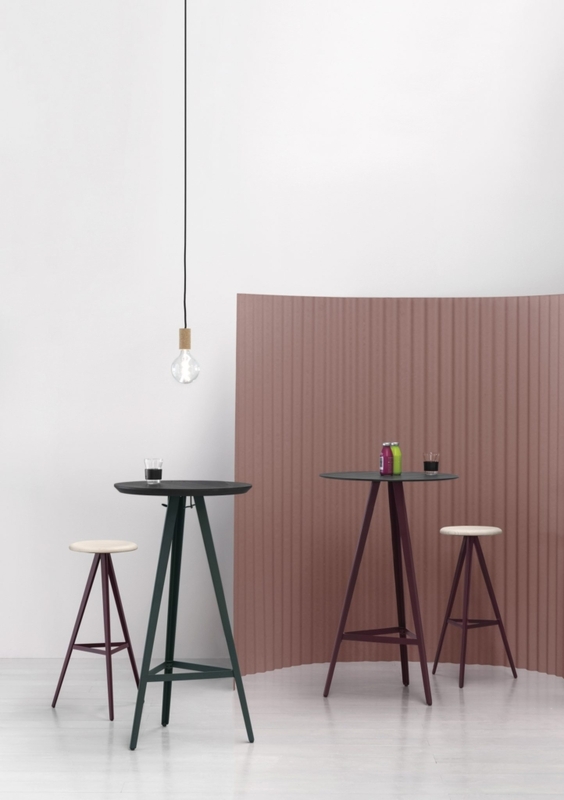 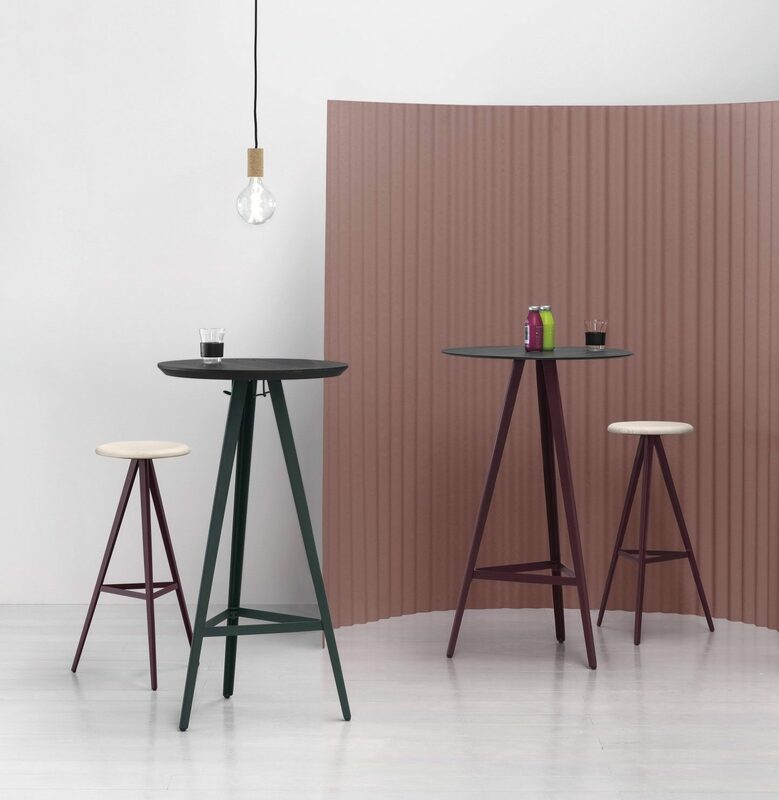 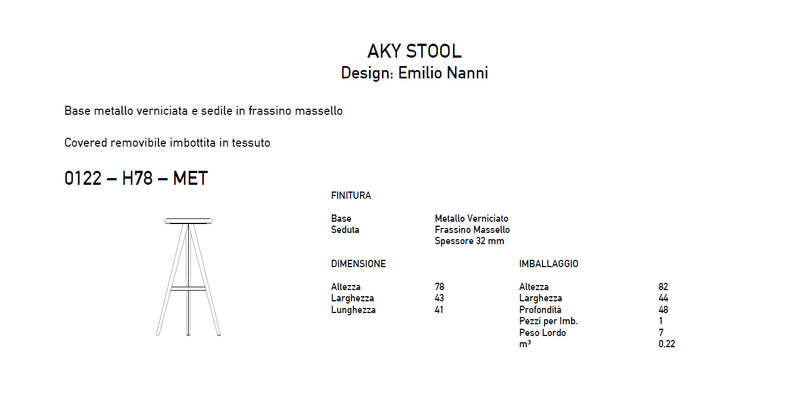 Newcomer in Aky Collection Contract: Aky stool, barstool in three heights, which completes the collection making it perfect for use in local and contract environments. 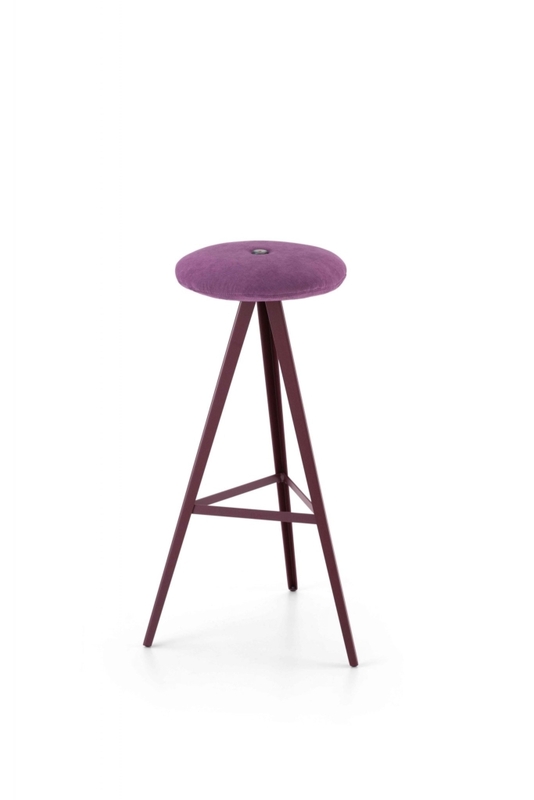 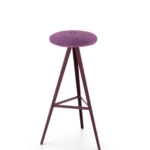 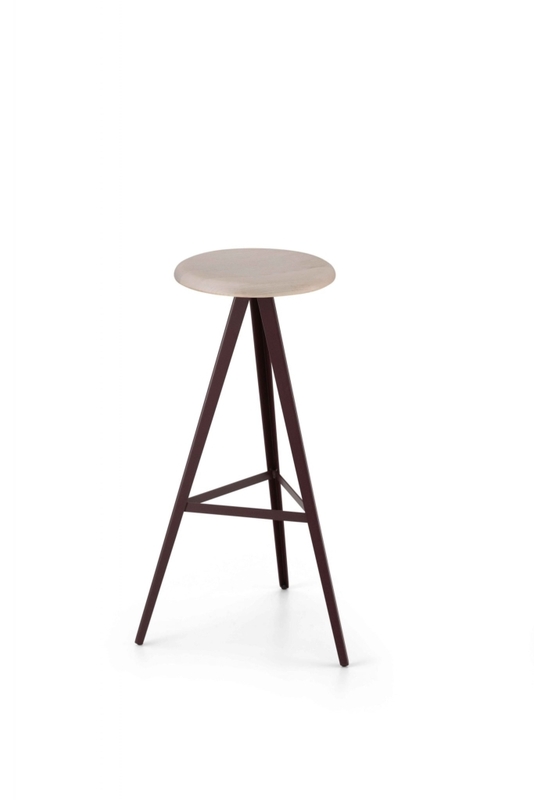 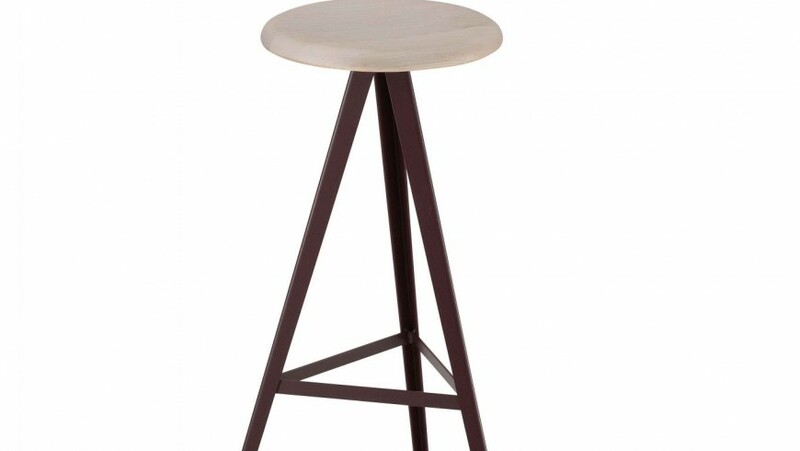 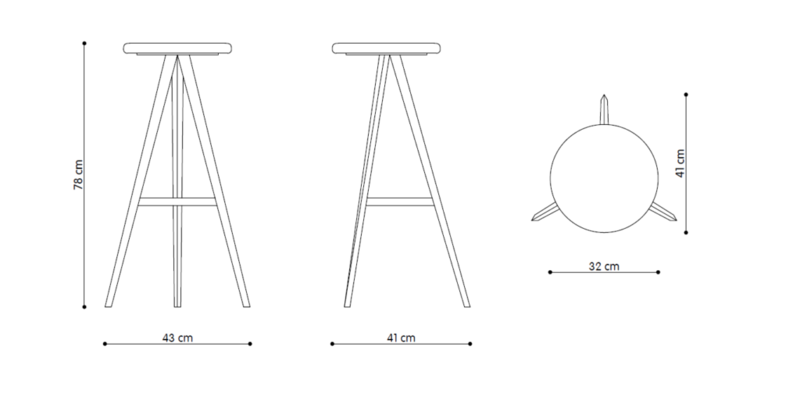 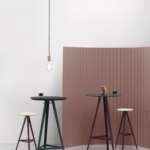 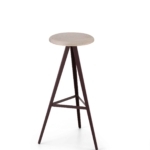 Aky stool, such as tables, It is supported by legs with a central meeting, imparting momentum and lightness. 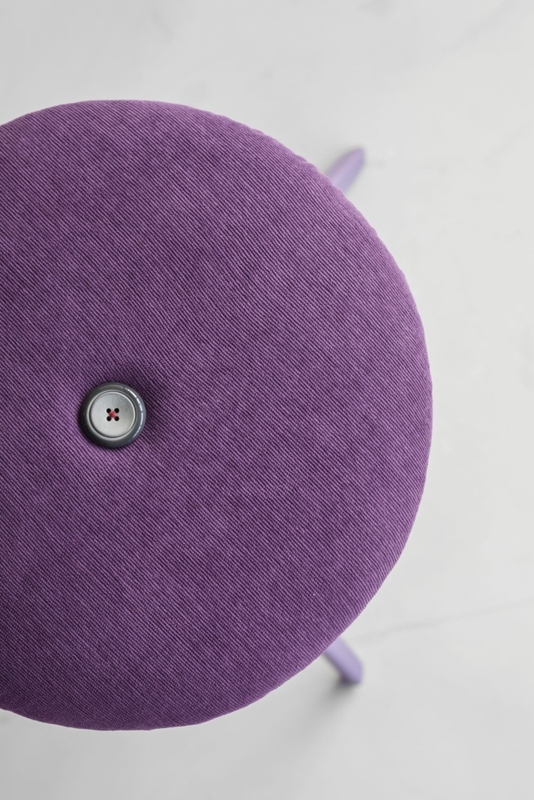 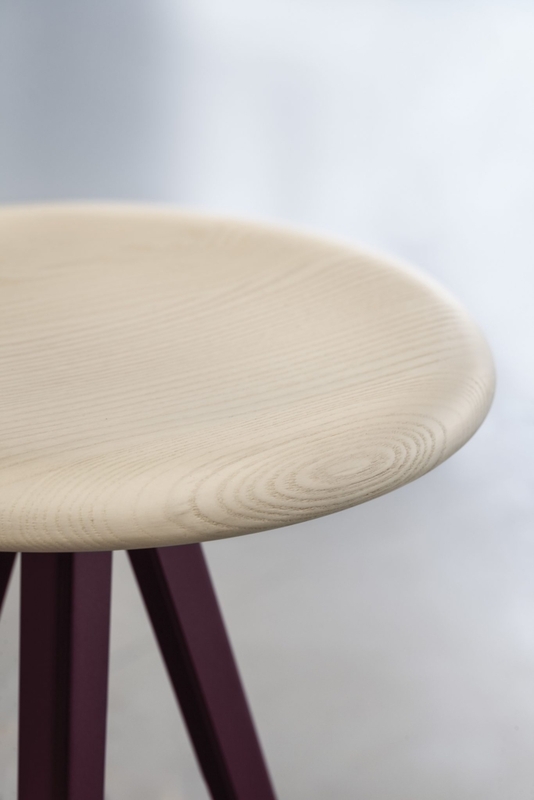 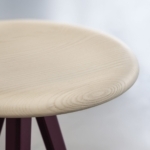 The circular wooden seat is also available in a version with padded fabric lining, on which stands a central colored button.